Training in Chennai provides best SAP BO Training in Chennai as class room with placements. We designed this SAP BO Training from beginner level to advanced level and project based training with helps everyone to be ready for industry practices. 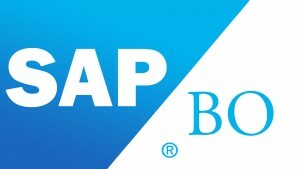 Anyone who completes our SAP BO Training in Chennai will become a master in SAP BO with hands-on workouts and projects. Our SAP BO trainers are well experienced and certified working professionals with more experience in real time projects. Business Objects usually abbreviated as SAP BO or BO is a reporting tool product from leading Enterprise software company SAP which is mostly used to focus on Business Intelligence and reporting. Most business decisions and sales generation relies on reports from Business objects. Years ago, most business decisions are happening through probability and assumptions which provides uncertain decision making/forehead thinking and loop back to sales. But, in the modern era SAP BO plays a vital role in decision making and forehead thinking for business intelligence team to analyse, planning, reporting enterprise critical data. Became a Ice breaking technology in running track of leading reporting tools in market of business intelligence. What we do at Training in Chennai for SAP BO? In modern IT era,all that industry needs is a Data Scientist and decision maker which turns the knowledge in to profit and business value adds for customers and end user satisfaction and that’s exactly what we at Training in Chennai aim to do. We train aspiring data scientist / data analyst , decision making ,reporting skills with best faculties available in the market whom have real time hands on experience in SAP BO area. Whom SAP BO is suitable for? SAP BO is suitable for all IT professionals who look forward to become Business intelligence user ,Data Scientist / Data Analyst in future and become industry experts on the same. This course can be pursued by the guys who have knowledge in oracle SQL basics and also we train in SQL basics needed for BO. Business objects has good signature in the market right now and there is tremendous amount of job opportunity waiting to be grabbed.Only near to 5000+ employees in USA have this knowledge and there is lot of onsite oppurtunities for this course as well. Simply taste the flavour and get the knowledge digested!! !